Ken Jones has been working in the public and non-profit procurement field for over 30 years. He worked for the New York State Office of Taxation and Finance as a Purchasing Assistant from 1985-87 and went on to work for the University at Albany, SUNY where he served as a Purchasing Agent and in 1999 was the Assistant Director, supervising and providing training for the Office of Purchasing and Contracts. This included providing training for both State procurement and The Research Foundation for SUNY procurement rules and regulations. His previous purchasing experience included procuring commodities, services and construction for the departments on campus. 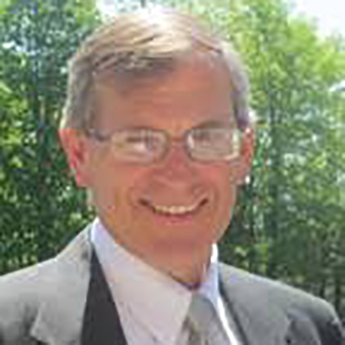 A past Director of the SUNY Purchasing Association, Ken retired from the position of Assistant Director in January of 2014. However he was requested to continue to assist the office through the end of 2014. Currently Ken works part time for the SUNY Center for International Development as a Procurement Specialist assisting primarily with their program in Kenya, Africa. Ken has trained many University staff on procurement rules and regulations. He established online ordering processes with vendors ranging from Office supplies to Lab chemicals and continues to provide training in his current position to procurement staff in Nairobi, Kenya. Ken has presented on various procurement topics both in person and on the Web.